Framed in a privileged enclave, our three rural houses offer accommodation to families or groups of friends. Designated as house A, house B or house C, each of them is independent, with a private terrace overlooking the garden. Our cottages offer excellent views of the mountains and the sea, surrounded by a beautiful garden vibrant in flora, a barbecue for community use, terrace gazebo and easy parking behind the houses. 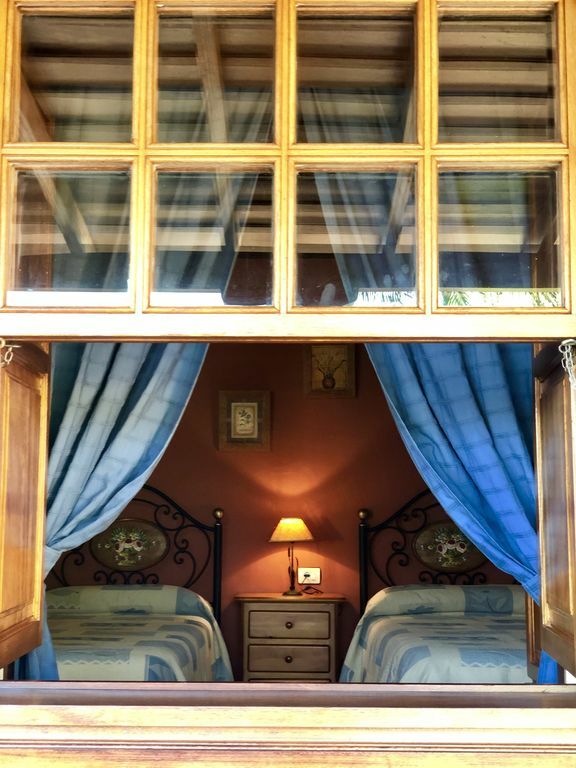 Designed and gathering aspects of traditional Canarian architecture, built in rustic style and with top quality materials, fully equipped with all the comforts you might need during your stay, with a pleasant atmosphere backed by a fireplace that you can find in your home, decorations and the colors. All this is sure to make you rest and enjoy the experience in the island. There are several activities that can be done in La Isla Bonita, there is a wide network of paths that runs through the island, viewpoints that are part of the new project "Island of the Stars", places full of history and heritage, quiet sandy beaches black surrounded by lava, essence and mysticism, as well as popular festivals that take place throughout the geography of La Palma throughout the year. * The price of accommodation may vary for house A as well as for the number of people. * No smoking inside the houses. -Price varies depending on the number of people or the big house. -Prohibited smoking inside the accommodation.